I came back from a short trip to Alaska earlier this week. Unfortunately, I caught a cold and it took me a few days to recover from it. Normally I do not go to Alaska this early. The weather is still rather wet, cold and cloudy but I went to meet up with a friend who is currently working as a naturalist in SE Alaska. The best time to go on an Alaskan Photo Safari is July through September, when the salmons are running and I will return there next month. 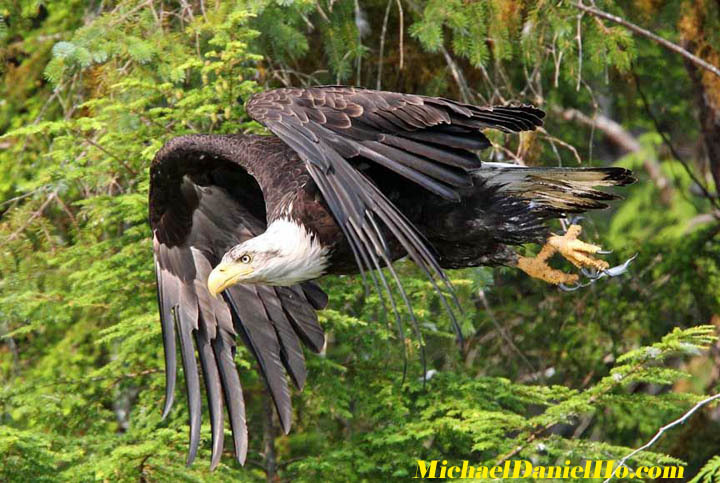 SE Alaska is home to the Tongass National Forest, the second largest rainforest in the world after the Amazon. It sits in the middle of a vast temperate forest among an archipelago, rich in wildlife and unspoiled wilderness. 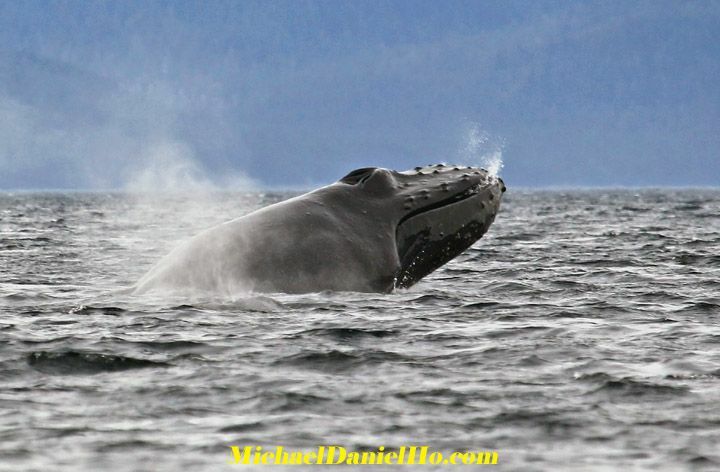 Every year, Humpback whales migrate to Hawaii in the winter and return to the food rich waters of SE Alaska in late spring and summer. In the middle of summer, when the Pacific salmons return to the lakes and streams to spawn, the wildlife action is spectacular. 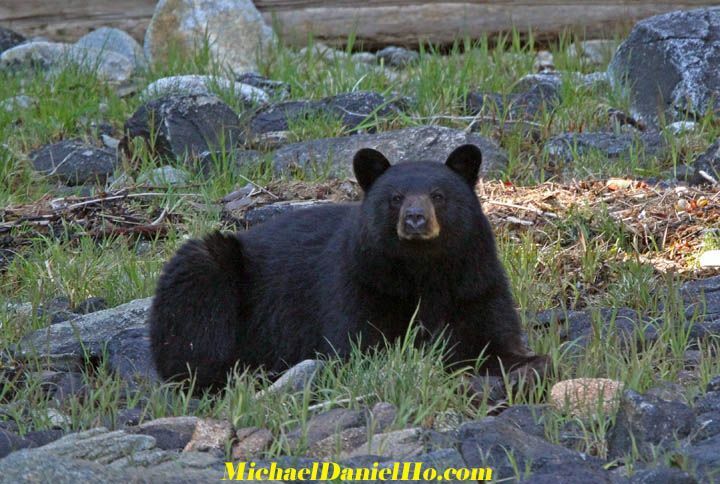 Grizzly and Black bears, Bald eagles, Steller sealions and seals, Humpback, Blue and Killer Whales are just some of the animals one would encounter. 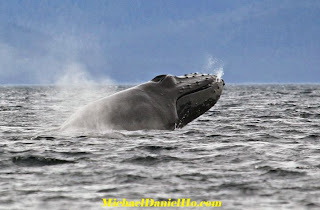 When I go to Alaska, I generally go out on small boats and zodiacs to photograph whales and other sea life, so a big tripod and lens are not that useful. I travel with 2 bodies (Canon 1D MK IV and 7D) and 3 lenses (Canon 400mm f/4 DO L, Canon 100-400mm f/4.5-5.6L and the Canon 16-35mm f/2.8 L) See the Equipment page on my website to see these equipment. Knowing where to go to find wildlife is as important as knowing how to photograph them. I generally base myself out of Juneau, Ketchikan and Petersburg. These three towns have ample small boats and float planes one can hire to get to almost any wildlife hotspots. Weather is rather unpredictable in Alaska sometimes so one must be prepared for the unexpected and the inevitable delays and cancellations. Prices are quite a bit higher in Alaska than in the lower 48 states but if one builds up a relationship with a boat or plane owner, they usually give repeat customers a discount. Cruising the myriad of small, pristine islands in SE Alaska in a small boat in the early morning mist and low clouds, looking for whales and bears is truly an awesome experience. It is wonderful to enjoy such beauty and tranquility. Read my article on photographing wildlife in Alaska and visit my website MichaelDanielHo.com to see many more photos on the wildlife of Alaska. This blog was too good! got to learn something!